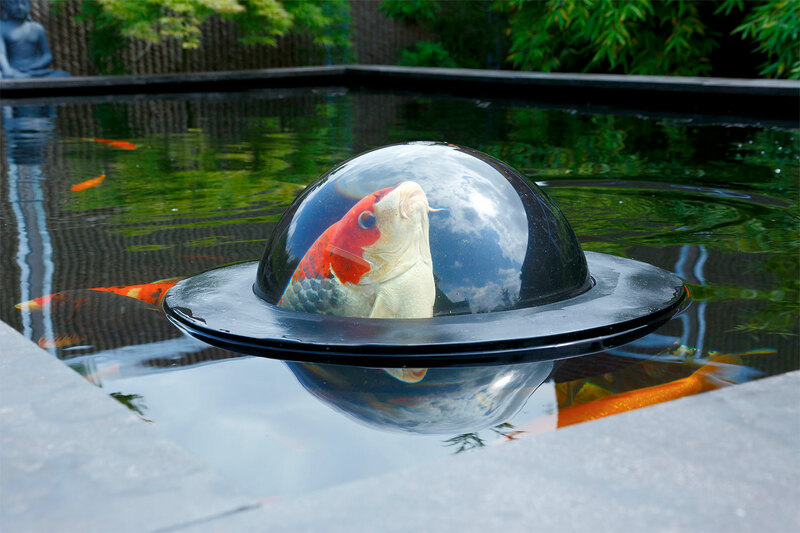 Floating Fish Dome lets fish swim above the surface of the pond. 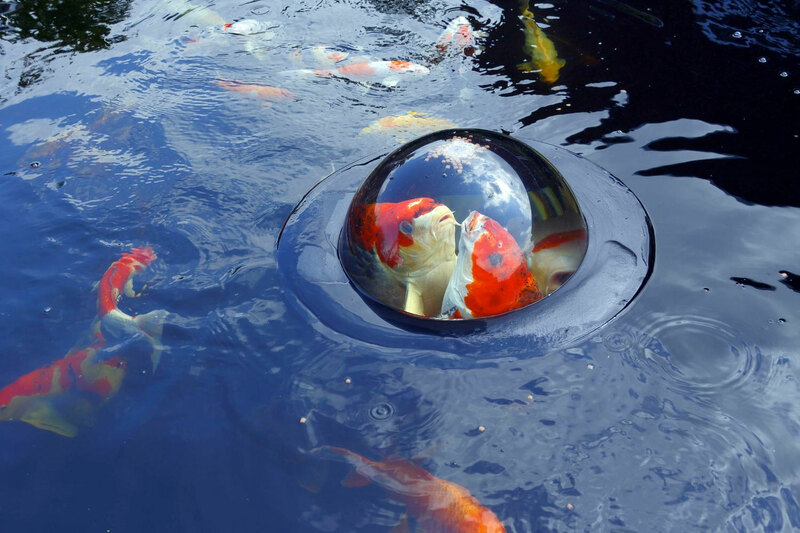 More and more, people are coming to see that pond fish are social animals, and that interaction goes much further than just throwing a handful of feed into the pond and observing the fish. 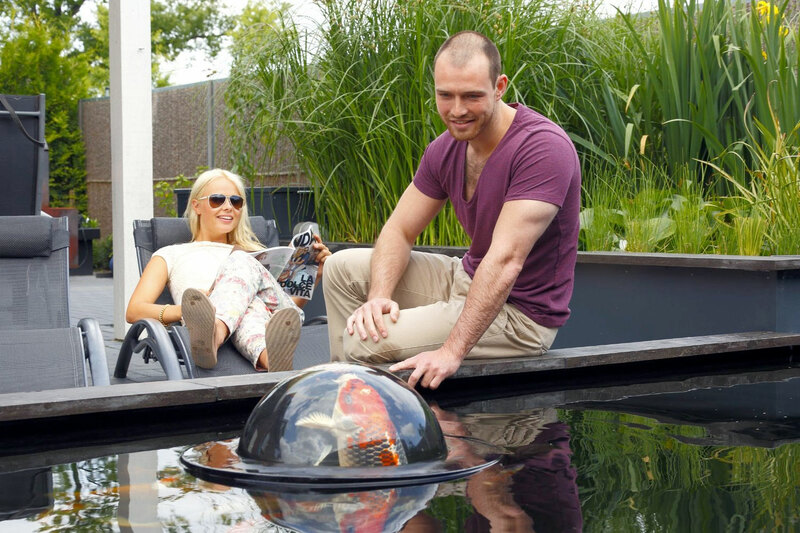 Watching your fish becomes a unique experience with this floating perspex transparent ball in the pond.